There’s no time like the present to seal concrete, and it’s a step you just can’t skip on any project. Properly sealing concrete surfaces keep them protected from dirt, moisture and excess wear while enhancing appearance. Keep in mind general temperature guidelines when sealing for the best possible application. Ideally, surface and environmental temperatures should be between 50 and 90 degrees. Any colder or hotter and the concrete may not penetrate or bond effectively. The type of sealer used also makes a difference in the protection and appearance of the final concrete product. What’s the difference between penetrating and surface sealers? We’ll break it down for you, and share some of our old favorites and newest innovations in concrete sealing. Pentra Sil 244: The best choice for protecting concrete against extreme elements. This premium concrete sealer reduces permeability and protects concrete surfaces with a single application. Pentreat 244: This penetrating, 100% active silane sealer inhibits water and chloride ion penetration, helping to prevent rebar corrosion and concrete scaling, spalling and freeze-thaw damage. Excellent choice for parking structures, driveways, patios, median barriers, ramps and loading docks. Creto DPS: The top choice for waterproofing new or existing concrete, Crete DPS penetrates deep to form a breathable yet moisture-blocking gel barrier. 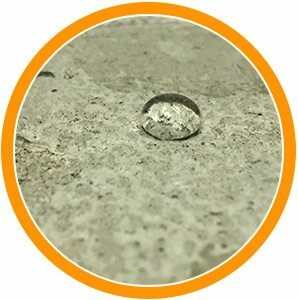 Intraguard: A water-based, penetrating sealing compound for exterior concrete. Weatherproofs and protects concrete surfaces such as driveways, walkways and exterior walls from moisture and de-icing chemical damage. Masterprotect H400: This deep-penetrating, heavy duty sealer provides long-lasting protection against moisture, freezing and thawing, making it ideal for concrete highways, stadiums and high-traffic outdoor concrete surfaces. SharkSeal™: Designed for surfaces that require a high-end, yet cost-effective finish, SharkSeal penetrates deep into porous interior or exterior concrete surfaces while enhancing color. This low-VOC sealer from NewLook is breathable, dries quickly, repels water and dirt, and protects against the freeze-thaw cycle. 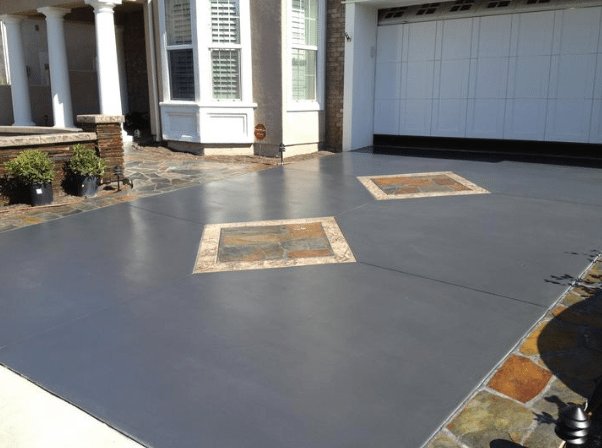 Surface sealers work by forming an impermeable protective layer on concrete surfaces, or by blocking the pores in concrete to prevent water absorption. Surface sealers are great for high-traffic areas, concrete countertops and decorative concrete surfaces. Decraseal 100: A premium, non-yellowing, acrylic curing and sealing compound designed for exterior concrete such as driveways, sidewalks and pool decks. Cures, seals and protects concrete with a hard clear surface film that creates a high-sheen finish. ICS High Gloss 100: Formulated to seal and protect concrete surfaces by producing a hard yet breathable, high-sheen finish, this non-yellowing, acrylic-based, sealing compound is transparent, durable, and easy to apply. We also recommend ICS Premium Gloss Sealer 100 and ICS ColorSeal. CS309-25: This is one of our all-time favorite sealers, a true workhorse. CS309-25 is only available until our supply runs out due to changing VOC laws, so stock up while you can. VOCOMP 20: A water-based, acrylic curing and sealing compound from W.R. Meadows that resists yellowing from ultraviolet exposure and provides a durable, long-lasting finish that offers improved resistance to chemicals, petroleum, and abrasives. VOCOMP 25: This water-based, acrylic concrete curing and sealing compound is ideal for outdoor areas, industrial flooring, and vertical surfaces. Decraseal WB: Specially formulated for decorative concrete, this clear, transparent and easy to apply sealer offers improved resistance to water, alkalis and mild acids with a hard yet flexible, clear film. Smart Seal WB: This premium water-based sealer from NewLook creates an abrasion-resistant film that provides weatherproof protection against sun, rain, most acids, industrial chemicals, oil and grease. Visit your local Intermountain Concrete Specialties store to speak with one of our experts to find the right sealer for your concrete project.